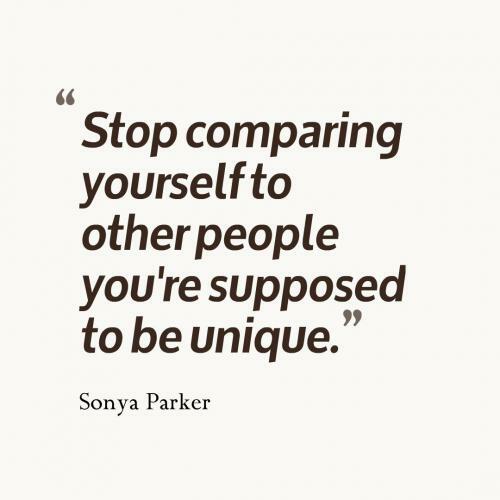 Stop comparing yourself to other people you're supposed to be unique. There is nothing wrong with who you are, embrace and enjoy being you. We are all unique individual. Self appreciation incubates Societal acceptance. Teachers are special individuals with unique abilities. 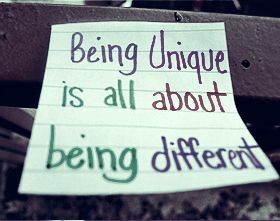 When people laugh at you for being different, laugh right back at them for being the same. Your habits will determine your quality of life. Your standards of life is comparable to none when you're Unique, Practical and Pristine, wear your crown to celebrate your Journey of Life. I'm incomparable. I'm not like anyone else because I'm me. Don't discount yourself, no matter what you're doing. Everyone has a unique perspective that they can bring to the world.